We are honoured to have the opportunity to create artwork under the request and guidelines of amazing people. Hand drawn lyrics of Bob Dylan'd song made for the dining room of a yogis home. This tees were an offering to the guru of a humble student. 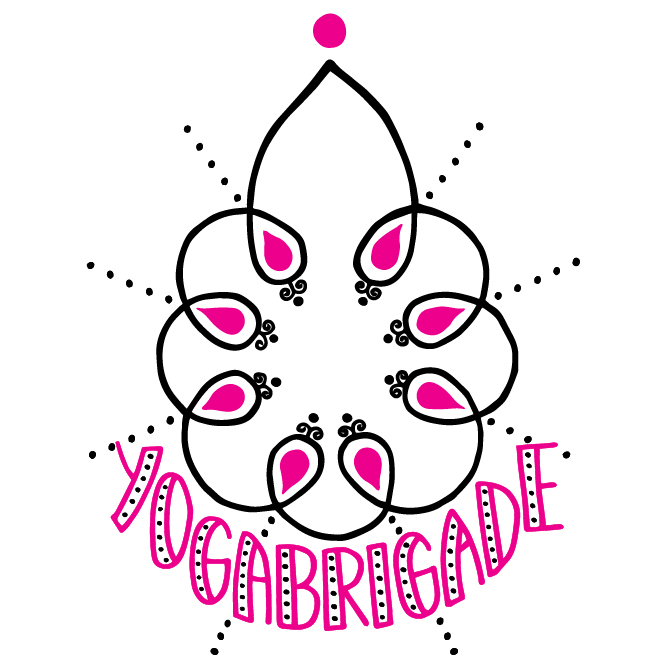 YogaBrigade is an Amsterdam based network of yoga teachers in the making. Initiated by Sharon Bartels, who, practicing yoga for many years, in 2016 completed the Jivamukti Yoga Teacher Training . Yoga Brigade is about making a connection, inspiring each other, practicing together at surprising locations and in peaceful studios. Impermanence is just like air, it just is. We printed a bunch of totes and tees with this hand made artwork.